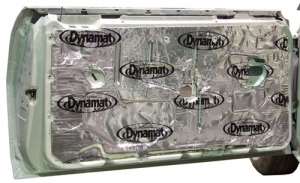 Dynamat Professional Heavy Duty Dynaroller. The 2" (50mm) wide solid rubber roller is best for complex applications. DynaBox is a unique retrofitable ceiling speaker enclosure that completely encases the speaker, projecting more clear sound into the room and maximizing your speaker’s output. DynaBox reduces sound migration between rooms, ceilings and floors. 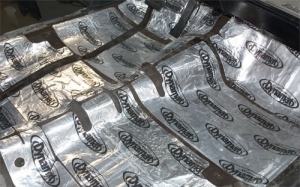 Dynamat Xtreme Custom Cut Kit to cover the inside flooring surface of a 1967-1969 Chevrolet Camaro / Pontiac Firebird. 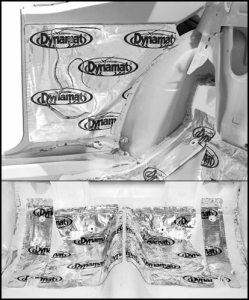 Dynamat Xtreme Custom Cut Kit to cover the inside and outside of both doors of a 1968-1969 Chevrolet Camaro / Pontiac Firebird. 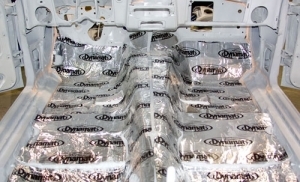 Dynamat Xtreme Custom Cut Kit to cover the inside flooring surface below the back seat and vertical panels on inner quarter of a 1967-1969 Chevrolet Camaro / Pontiac Firebird. 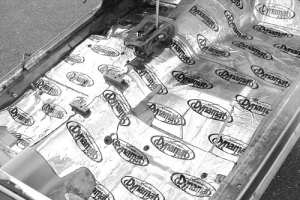 Dynamat Xtreme Custom Cut Kit to cover the inside flooring surface of a 1970-1981 Chevrolet Camaro / GM F-Body.